1 Bedroom Flat For Sale in Wadebridge for Asking Price £145,000. An extremely well presented, one bedroom apartment, situated on the favoured ground floor of this popular purpose built development. The accommodation in brief comprises an entrance hall, spacious lounge / diner, modern kitchen with built in appliances, shower room and double bedroom. 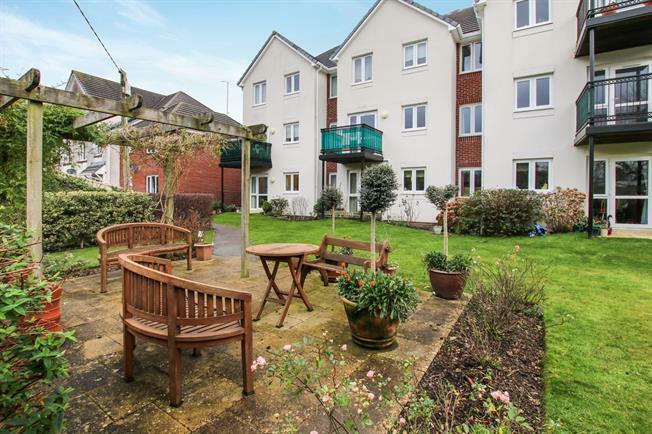 Complemented with uPVC double glazing, modern electric heating, communal gardens and parking. A viewing is highly recommended. The development is accessed through a secure electronic system into the entrance vestibule which continues to the residents lounge and house manager's office. On the ground floor there is a guest suite for visitors, lift to all floors, laundry room and an area for disposable waste. No 19 is located on the ground floor. Carpeted flooring. Access to the lounge, bedroom, shower room and airing cupboard with boiler. UPVC double glazed door opening onto the front patio and double glazed uPVC window facing the front. Electric, wall mounted heater and a feature fire place with an electric fire, carpeted flooring and built-in storage cupboard. Double wooden doors to the kitchen. Double glazed uPVC window facing the front. Vinyl flooring, tiled walls. Roll top work surfaces, a range of wall and base units, stainless steel sink with drainer, integrated electric oven, electric hob with an overhead extractor and integrated fridge and freezer. Electric heater, carpeted flooring, part tiled walls. Low level WC, single enclosure shower, vanity unit, extractor fan and shaving point. A highly respected retirement development for independent living which is of age restriction (over 55's). The development comprises a mix of one and two bedroom apartments originally built by McCarthy Stone with communal parking on a first come, first served basis and pleasant landscaped communal gardens overlooking a pleasant river. The apartment is offered on a lease with management costs applying. Please contact Miller Countrywide in Wadebridge for further information.